Rivera was born Dolores Conchita Figueroa del Rivero [note 1] in Washington, D.C., the daughter of Katherine (Anderson), a government clerk, and Pedro Julio Figueroa del Rivero, a clarinetist and saxophonist for the United States Navy Band. Her father was Puerto Rican, and her mother was of Scottish and Italian descent. Rivera was seven years old when her mother was widowed and went to work at The Pentagon. On December 1, 1957, Rivera married dancer Tony Mordente. Her performance was so important for the success of the show that the London production of West Side Story was postponed until she gave birth to the couple's daughter Lisa. 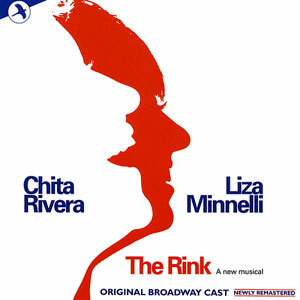 In 1960, Rivera created the role of Rose in the Broadway smash Bye Bye Birdie. She won raves for her performance, but was passed over for the film version where the role was played by Janet Leigh. 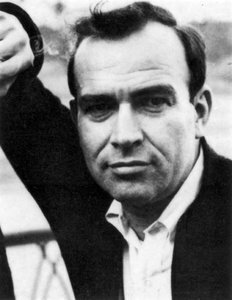 In 1963, Rivera was cast opposite Alfred Drake in Zenda. The Broadway-bound musical closed on the road. 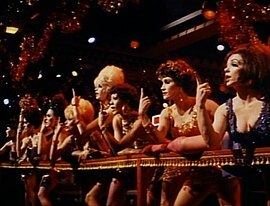 In 1975 she appeared as Velma Kelly in the original cast of the musical Chicago. The Outer Limits (1964) – episode "The Bellero Shield"
The Carol Burnett Show (1971) – episode "Show #422"
In 2009, Rivera was presented with the Presidential Medal of Freedom by President Barack Obama. She was awarded an honorary Doctor of Fine Arts degree from the University of Florida in 2018. ^ This name uses Spanish naming customs: the first or paternal family name is Figueroa and the second or maternal family name is del Rivero. 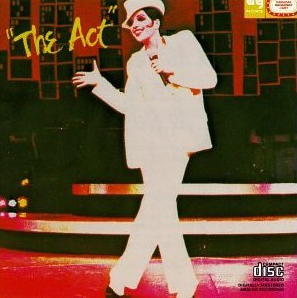 ^ "In 35 Years, Kennedy Center has Honored Only One Hispanic American…Chita Rivera", AllGov, December 4, 2012. ^ "Biography". ChitaRivera.com. Archived from the original on November 13, 2015. Retrieved July 7, 2015. ^ a b c d e f g h i Ratner-Arias, Sigal (September 4, 2009). "Q&A: Chita Rivera reflects on life in the theater". Taiwan News. Associated Press. Archived from the original on 2016-03-04. ^ Haun, Harry. "A New Kind of Spider Woman: Chita Rivera Wows Broadway Crowd in Concert of Kander & Ebb's 'The Visit'" Archived 2011-12-02 at the Wayback Machine, playbill.com, 1 December 2011. ^ Hernandez, Ernio (22 February 2008). "Photo Call: Chita Rivera Crowned Queen in 'Johnny and the Sprites'". Playbill. Archived from the original on 11 September 2012. Retrieved 2 February 2015. 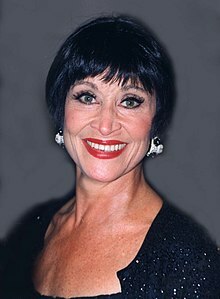 Chita Rivera: The Dancer's Life is a musical revue based on the life of Chita Rivera, with a book by Terrence McNally and new songs by Stephen Flaherty and Lynn Ahrens as well as songs from various other composers. It earned Rivera her ninth Tony Award nomination. 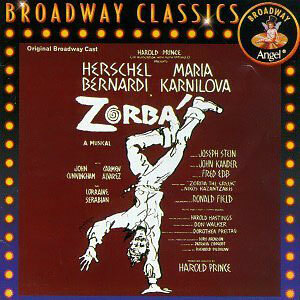 Zorba is a musical with a book by Joseph Stein, lyrics by Fred Ebb, and music by John Kander. Adapted from the 1952 novel Zorba the Greek by Nikos Kazantzakis and the subsequent 1964 film of the same name, it focuses on the friendship that evolves between Zorba and Nikos, a young American who has inherited an abandoned mine on Crete, and their romantic relationships with a local widow and a French woman, respectively. The Scottsboro Boys is a musical with a book by David Thompson, music by John Kander and lyrics by Fred Ebb. Based on the Scottsboro Boys trial, the musical is one of the last collaborations between Kander and Ebb prior to the latter's death. The musical has the framework of a minstrel show, altered to "create a musical social critique" with a company that, except for one, consists "entirely of African-American performers". Judy Gordon is an American theater producer of plays and musicals on Broadway and off-Broadway as well as internationally. Her productions include the musical Barnum with music by Cy Coleman, starring Jim Dale and Glenn Close on Broadway and Michael Crawford in London. She also produced A History of the American Film by Christopher Durang on Broadway, and 2x5 by John Kander and Fred Ebb off Broadway.